Anyone who carries the Chase Sapphire Preferred or the Chase Sapphire Reserve card has probably heard cashiers make comments. People pick it up and are amazed by its weight. The reason is both of these cards are made with metal. Now imagine what people might say if you handed them a credit card made of gold or diamonds. That is exactly what happens for many millionaires who carry the world’s most elite credit cards. In this article, we’ll look at a few of the cards that are frequently found in millionaires’ wallets. Some you may have heard of and others may be brand new to you. The American Express Centurion Card, also known as the Black Card, is one of the world’s most exclusive credit cards. Only those who receive an invitation actually get the chance to carry this card. But you won’t get that invitation unless you have recently spent $250,000 on another American Express card. One report stated that the average Centurion cardholder has an average annual salary of $1.3 million and a net worth of $16 million. However, what might set the American Express Centurion Card apart is the 24/7 concierge service. There has been a rumor for years that you could use the concierge service to book dinner reservations at some of the most popular and exclusive restaurants in the world. You can also use it to find hotels rooms and airfare. No request is too much for a Centurion cardholder. So is the American Express Centurion card worth such a high price tag? It depends on who you’re asking. 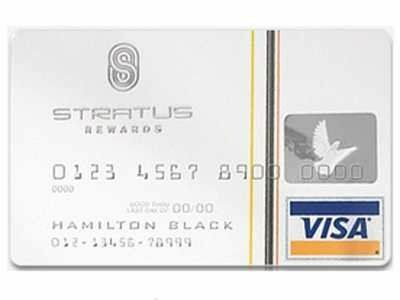 Now that you know all about the Black Card, it’s time to mention the Stratus Rewards Visa, or White Card. Just like the American Express Centurion Card, this one is just as exclusive. You will either need to be referred by a current cardholder or a partner of Stratus Rewards. In addition to having an annual fee of $1,500, this card is unique because of how you can redeem your rewards. Points earned can be redeemed for flight hours on private jets. You are even allowed to combine points with friends so that you can cut down on traveling costs. For a long time, the JP Morgan Palladium Card was a sign of status. Then last year they did away with the card and replaced it with the JP Morgan Reserve Card. In order to receive this card, you need to request an invite from a Chase Private banker. This means you will need to have significant savings at Chase to be considered. When you use this card for travel or at restaurants, you will earn three points per dollar spent. Every other purchase will earn one points per dollar spent. You will also receive a $300 annual travel credit. If these benefits are starting to sound a little familiar, that’s because they are nearly identical to what you will find with the Chase Sapphire Reserve card. Even the annual fee is the same. 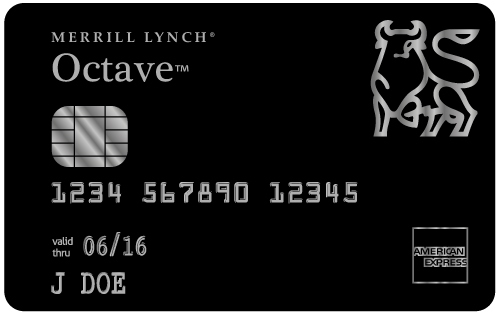 In order to carry the Merrill Lynch Octave Black card, it’s rumored you need at least $10 million in assets. At that point, you might receive an invitation from Merrill Lynch. While there isn’t very much public information about this card, current cardholders have reported some of the benefits they receive for their $950 annual fee. Rumor has it you can get an unlimited 2.5 points per dollar spent on any purchase, which can be redeemed for gift cards, cash back, and statement credits on travel purchases. Remember, whether you’re a millionaire or not, before you apply for any credit card, it’s a good idea to see where your finances stand first. You can view two of your credit scores by signing up for a free account on Credit.com. Checking your scores will not harm them in any way.